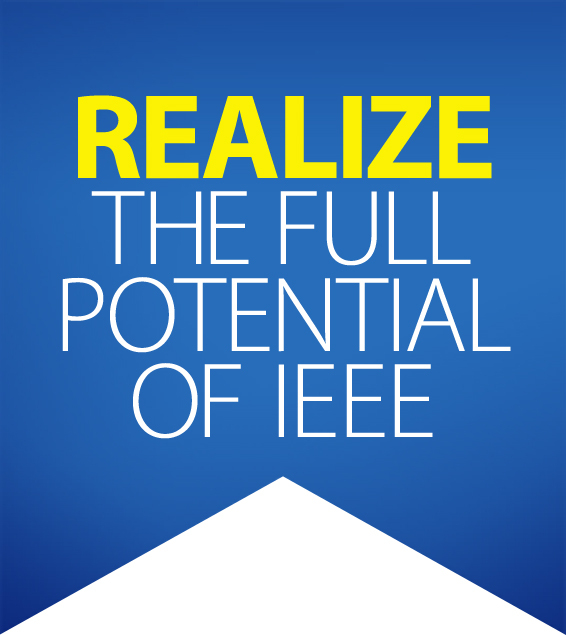 Much of the work done in 2017 prepared the IEEE Foundation to launch its first public fundraising campaign, Realize the Full Potential of IEEE, at the February 2018 IEEE Board of Directors meeting in Orlando, Fla, US. Our goal is to raise US $30 million by October 2020. At the launch, it was announced that thanks to you, our loyal donors, 50.14%—that’s $15.4 million—has already been pledged to the Campaign. The Campaign encourages donations from both IEEE members and non-members as well as organizations, companies and other entities that want to address global challenges and support IEEE’s mission of advancing technology for humanity. Donations to the IEEE Foundation fund several programs including IEEE Smart Village, EPICS in IEEE, IEEE Power & Energy Society’s Scholarship Plus Initiative, and the IEEE History Center’s REACH program (Raising Engineering Awareness through the Conduit of History). IEEE-USA’s MOVE Community Outreach Initiative, IEEE Awards program, various IEEE History Center activities, and IEEE–Eta Kappa Nu are also vital components of this campaign, and all are highlighted in this Impact Report. Learn more and stay up to date with campaign news. The IEEE Foundation Global Leaders Series (GLS) showcases innovative pioneers who are changing our world through major advancements in technology, engineering, science, and through philanthropy. GLS events are held around the world and designed to gather esteemed IEEE leaders, across the expansive IEEE network, in a celebration of fellowship and support for global IEEE initiatives supported by the Realize the Full Potential of IEEE Campaign. It’s not every day you meet an IEEE Fellow who traveled as a private citizen to the International Space Station. Entrepreneur and inventor Gregory Olsen was featured at our first GLS event in February 2017 in New York, NY, US. 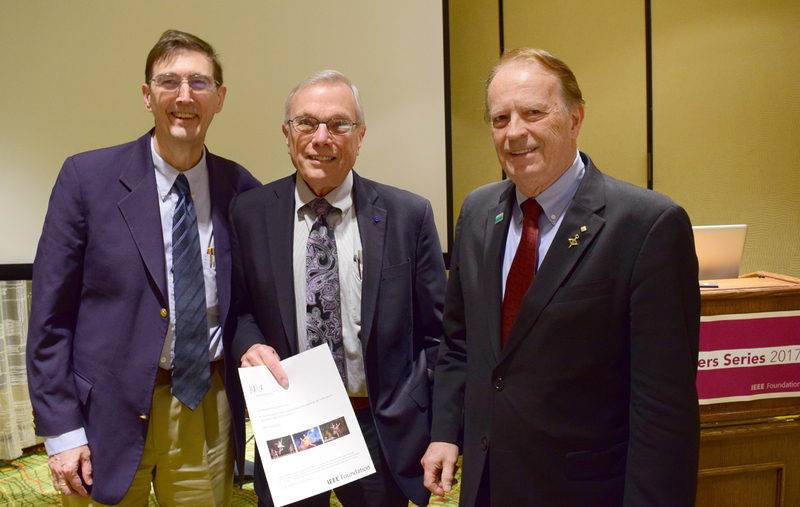 IEEE leaders, members and student members heard about Olsen’s adventures aboard a Russian Soyuz TMA-7 space capsule. Olsen graciously signed copies of his biography, By Any Means Necessary! Olsen also hosted a GLS event in October 2017 at his New York City apartment where guests enjoyed wines from his personal winery. Also speaking as part of the GLS in March 2017 in Manhattan Beach, CA, US was IEEE Fellow Bradford W. Parkinson, the inventor and chief architect of the Global Positioning System. Parkinson received the 2018 IEEE Medal of Honor, sponsored by the IEEE Foundation. Another GLS in Atlanta, GA, US in October celebrated the awarding of the Professor Glenn Frederick Knoll Memorial Fund of the IEEE Foundation and the individuals who have been integral in making these awards possible: Valentin Jordanov, Gladys Knoll, and the IEEE Nuclear & Plasma Sciences Society. The 2017 IEEE Global Leaders Series events helped pave the way for our Campaign launch in February of 2018. More Global Leaders Series events are scheduled for 2018 throughout the world. The first international GLS event was held in Bengaluru India in March 2018 and featured Sri H.N. Narayana Murthy, the famed founder of InfoSys, and the man recognized as one of the 12 greatest entrepreneurs of our time, by TIME magazine. 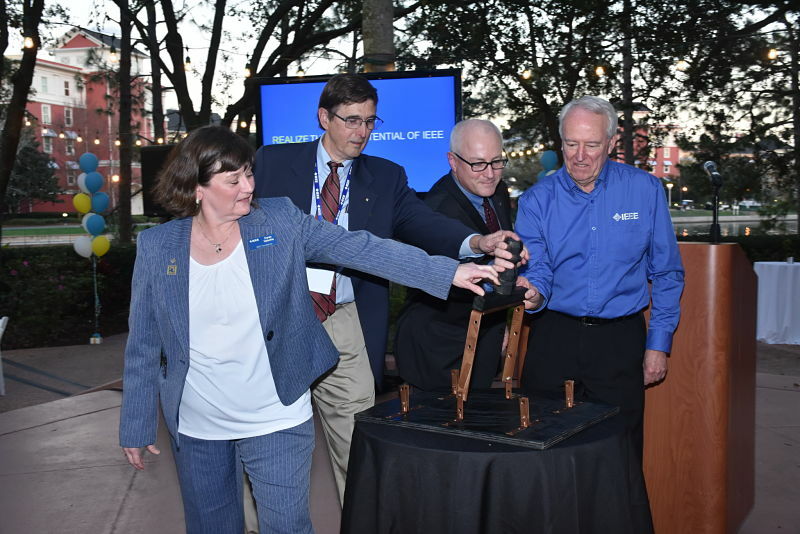 The Campaign was formally launched with the flick of a symbolic wireless switch by the combined efforts of IEEE Foundation Executive Director Karen Galuchie, IEEE Foundation President John Treichler, IEEE Executive Director Stephen Welby, and IEEE President Jim Jeffries. Each spoke about the importance of philanthropy and the programs that your donations to the Campaign support. 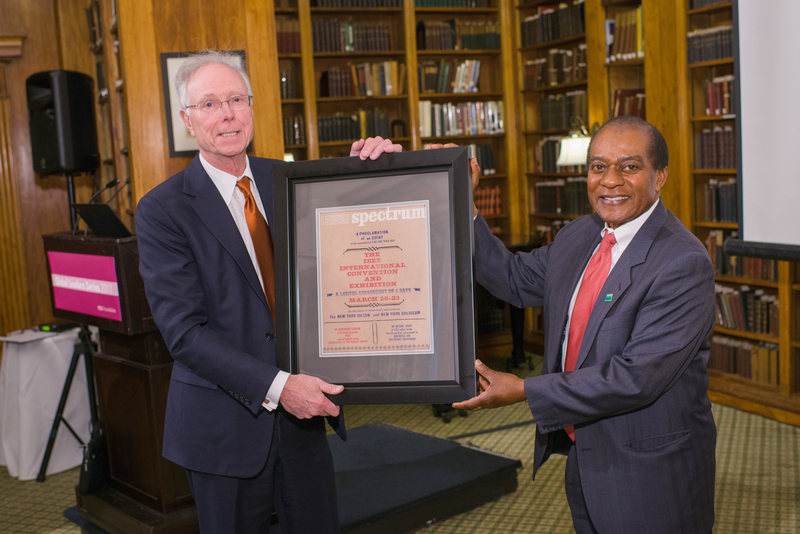 Past IEEE Foundation Director Victor Lawrence (right) presented Greg Olsen with a framed IEEE Spectrum magazine cover from 1967 in appreciation of his presentation at our first GLS event. Olsen paid $20 million for the privilege of traveling to space. He says he could afford the trip after selling two optoelectronics companies he helped create. IEEE Foundation President John R. Treichler (left), and IEEE Foundation Vice President of Programs Fred Mintzer (right) welcomed guests to the GLS event featuring Bradford Parkinson. Parkinson, the inventor and chief architect of the Global Positioning System advocated for the system in 1973 when he was an Air Force Colonel.